There is something new under the sun. Sundance Replicas are handcrafted and made from wood. We take your photo and carve it into a very special gift. A Replica is much like a framed photo with a bonus - the added realism of three dimensions. 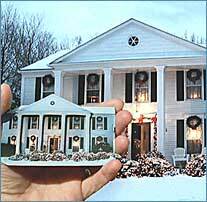 Send us your favorite family photo, or perhaps a photo of your home, your pet, your car or boat; we can create a Replica from any photo you send us. If you can photogragh it, we will make a Replica which is sure to please. Replicas are a special and unique way to remember the moment and the place. A Sundance Replica also makes a thoughtful gift for the loved one who has everything else! And it's an ideal corporate gift. If you have a friend who's moving, it's the perfect farewell keepsake or housewarming gift! A perfect gift for any occassion. 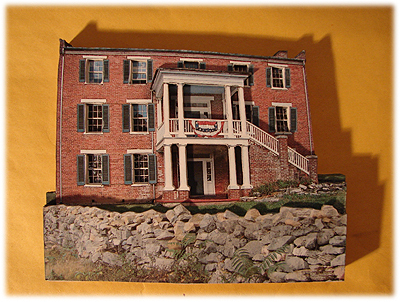 A Replica can be displayed on a desk, shelf, coffee table or above doorway and window moldings. Each handcrafted Replica takes several hours to create, yet your Replica is only $50.00! You Replica will arrive 4-6 weeks after we receive your order. If you have questions, see our Frequently Asked Questions (FAQ) page - or just contact us for more details. You can also order online! Copyright © 2000-2005, Sundance Replicas Inc. All Rights Reserved.